“Young people are being harmed when they smoke these dangerous ‘fake pot’ products and wrongly equate the products’ ‘legal’ retail availability with being ‘safe’,” DEA Administrator Michele M. Leonhart said in a statement. Under the temporary action, the products will remain illegal for at least a year while the DEA and the U.S. Department of Health and Human Services study the issue. The DEA said the products are now designated as Schedule I substances, the most restrictive category. During the past couple years, the smokeable herbal products sold at stores, particularly drug paraphernalia shops and on the Internet, have become increasingly popular among teens and young adults, the DEA said. 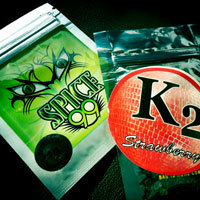 The products are often sold under such brands as “Spice,” “K2,” “Blaze,” and “Red X Dawn” and “are labeled as herbal incense to mask their intended purpose,” the DEA said. The DEA said at least 16 states have taken action to ban one or more of these chemicals. Posted: 3/1/11 at 5:50 PM under News Story.